With tuition costs on the rise, you may understandably be feeling a bit nervous about the prospect of paying your child’s way through school. However, if you want to give your child the tools that he or she needs to be successful later on in life, then you may want to give your child an opportunity to obtain a college degree in a field of his or her interest. Still, this does not change the fact that schooling is expensive. 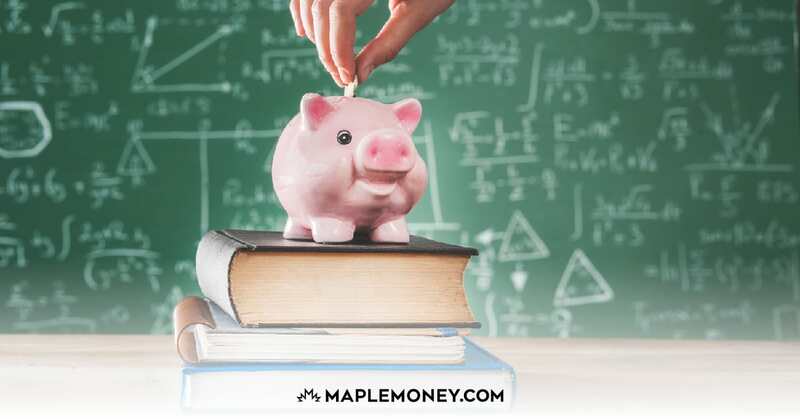 If you are on a limited income or are having trouble figuring out ways to go about saving for your child’s education, then you may be wondering what steps you can take. If possible, begin saving for your child’s education as soon as he or she is born. It may seem like something that you do not need to think about until far into the future, but the fact is that by saving gradually, you can end up with a large sum of money over time without necessarily having to put aside hundreds of dollars per month. Even just a few bucks a week can ultimately make a huge difference down the road, as this will give you nearly eighteen years to save. Consider putting your money for your child’s education into a savings account as well so that you can accrue interest on the amounts. The RESP is designed to help parents with saving money for their child’s schooling. The RESP will allow the government to match the amount that you have saved to a certain extent with the Canada Education Savings Grant. In this sense, you can receive free financial assistance from the government to help pay for your child’s schooling. You can free up a lot of money each month that could go towards your child’s education by simply doing a bit of budgeting. In the long term, is that $200 per month cable package and brand new car the best way to allocate your finances? Probably not. 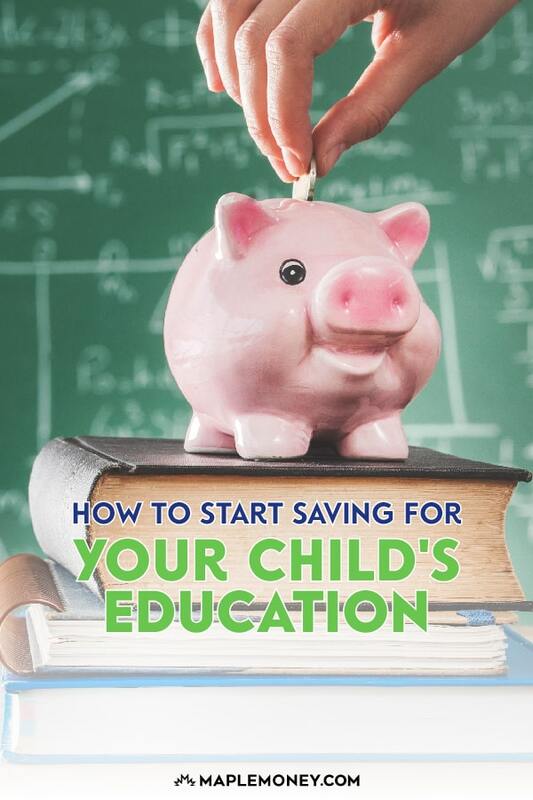 Cut down on unnecessary expenses and instead begin putting money away for your child’s education. You may be surprised at just how much you may be needlessly spending each month and how little you miss the sources of that spending when they are gone. Keep in mind that, these days, more and more parents are expecting their children to pay their own way through at least some of their schooling. Therefore, you should not feel obligated to cover all of your child’s tuition and expenses. Having him or her pitch in will help to keep your child more invested in school while teaching him or her a valuable lesson as well. Still, you can save up a lot by trying some of the above tips. Great article. I completely agree that saving for a child’s education should begin as soon as possible since compounding will be on our side. The RESP should be the first place to put money away. Not only will the funds inside the RESP be sheltered from taxes, as you say in this article, in Canada we have the privilege of getting a Canadian Education Savings Grant (CESG). And depending on the income level we could also get an additional Canadian Learning Bond (CLB) giving incentives for every single family to put money away. My husband and I are 30 years old. We don’t have any kids right now but we are trying and hope to expand our family in 2016 (God willing). We plan on helping our kids partially with their schooling, but they will need to work summers to help out some of it as well. I think that is a win/win for both parent and child as it reduces lazy and entitled kids and frees up some money for parents and retirement. We also plan on investing this money in the stock market in a semi-aggressive portfolio when the kids are still young (we have 18 years), and slowly move them to more conservative investments when they approach senior high. With the way tuition fees are going up, we need to rely not just on government matching, UCCB, but also the stock market to increase our return. My husband is a financial advisor and gearing up to be a financial planner so we are comfortable with taking this approach and are not afraid of the stock market.